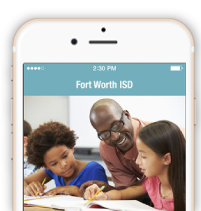 Propostion A - "Penny Swap"
As promised by Fort Worth ISD Superintendent Kent P. Scribner, plans are well underway to get a “jack rabbit” start on projects approved by voters during the 2017 Penny Swap and Bond Election. The voter-approved Bond Program will provide just over $750 million for capital improvement projects across the District. The accompanying “Penny Swap” election, also approved by voters, will afford the District an additional $23 million annually for life-cycle, maintenance and other items. Both propositions received resounding voter approval at 78% and 74%, respectively. At the next regularly scheduled Board meeting trustees will consider several items involved with the employment of a project manager, the hiring of architects and engineers. Additional steps that will be forthcoming will be the naming of a Citizens Oversight Committee by the Board of Education. But the effort going forward will need to a collaborative one. Parents, teachers, staff and students will have opportunities to offer their thoughts and feedback as campus improvements are planned. “You have our commitment that we will work to fulfill your trust in us with the transparent implementation of a program that will truly impact our schools, our students, and our community,” Dr. Scribner said.